A knife is a handy tool for all types of campers. Whether you are an amateur outdoor enthusiast or a seasoned hiker, you can’t deny the numerous benefits of knives in various camping work. You need to keep it within your reach but keeping such a sharp tool open could be dangerous. Covering it with a leather sheath could be the easiest solution. 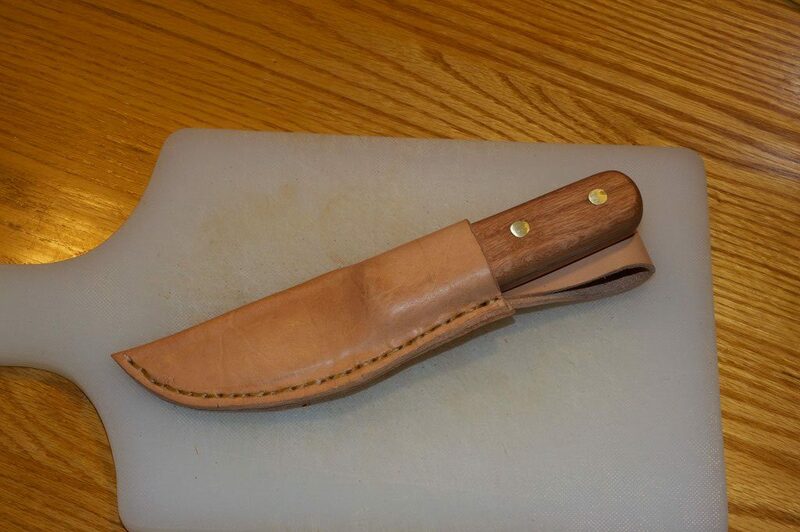 But, do you know how to make a knife sheath? 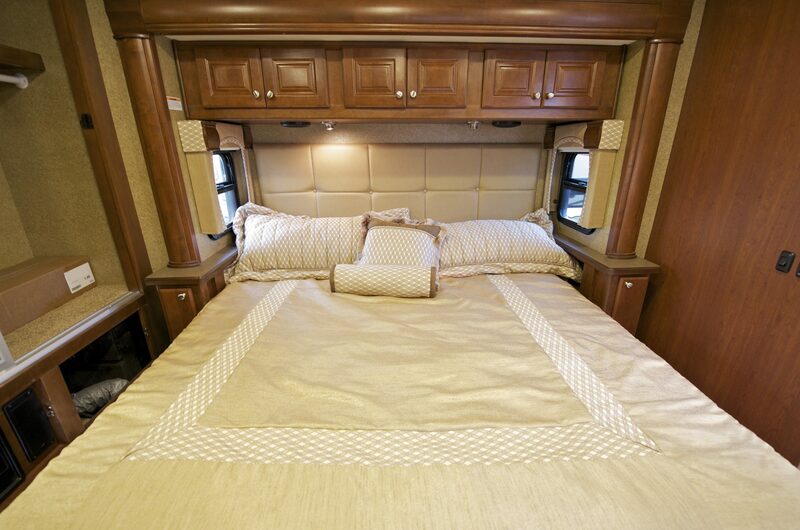 Handcrafting one gives you the freedom to choose the design and materials. You can customize it any way you want – to keep in your backpack or wear on your belt. You can purchase a knife cover from any retail store. But, crafting one by your own will be more satisfying. 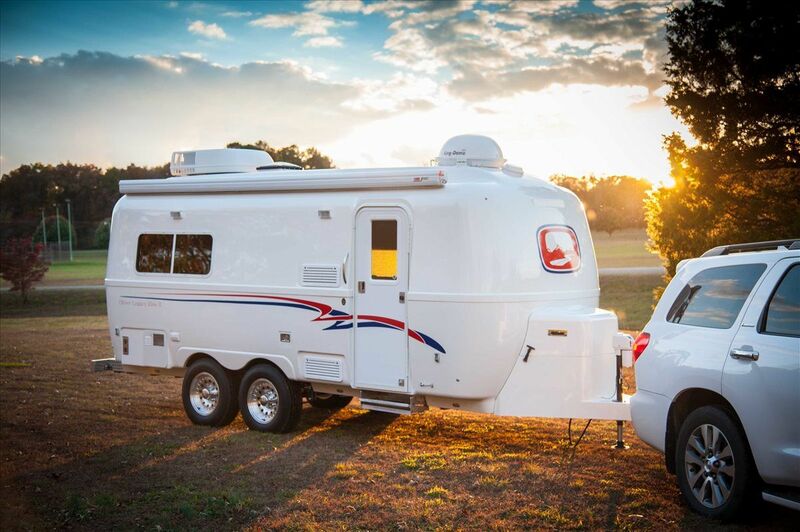 Besides, a camper should learn some DIY skills as these can be proved to be lifesaving in hostile conditions. Leather material will last for a long time. 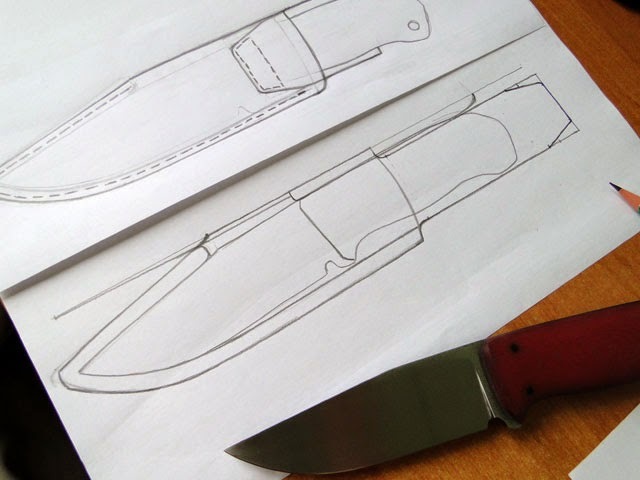 After collecting all these tools and materials, follow this procedure step by step to make a knife sheath in your home. You can apply the same process to craft a casing for a cell phone, pocket watch, and similar devices. You just have to guess the right measurement of the leather piece. Put the knife on the cardboard sheet and draw a rough pattern around the blade and the handle. Put the knife on its other side and draw another pattern just beside the first one. A bigger outline is preferable than a smaller one. There will be an extension at the side of the handle (for making a loop), so the pattern won’t be symmetrical. Draw the pattern on a paper or cardboard piece. Cut the pattern with scissors, fold it in half along the line, and place the knife inside it. Trim the sides with scissors to give the paper cutting the right shape you want for the sheath. Use adhesive tape or glue to attach the open ends and give the paper cutting the shape of your leather casing. Make the required adjustments so that it becomes the closest thing (in terms of shape and measurement) to the sheath that you are going to make. Expose one side of the handle by cutting the pattern. The other side will be as it as with the extra length for the belt loop. Draw the outline on the suede part of the leather. Cut it out with the rotary cutter but use the X-ACTO knife for snipping the belt loop part. Using a rotary cutter for this part may cause overcut and ugly nicks. 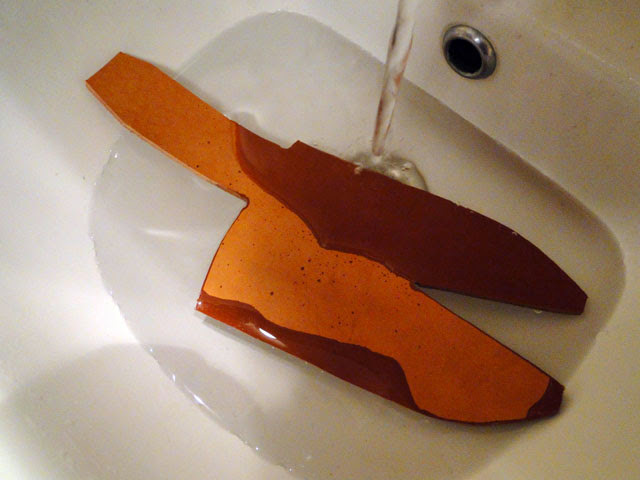 Take a bowl full of hot water and put the leather cutout into it. Keep it there for a few minutes until it is properly soaked in. Then, take it out and squeeze into the dishtowel to remove the water. Soak into water for forming the leather piece. Wrap the entire knife with two to three layers of Saran wrap. Use tape to keep everything together. When the leather piece is almost dry, place the wrapped knife on it and fold over the shape of the sheath. Secure the form by using spring clips. Set the clipped sheath aside to dry but check after every five minutes during the first hour to see if the leather is forming the way you want. If required, press or rub with your fingers to give it the desired shape. The leather can take several hours to a day (depending on the weather) to dry properly. Remove the clips and be ready to move to the next step. The next part of this how to make a knife sheath tutorial is to trim and stitch the casing. Trim the excess parts and uneven edges with the rotary cutter. Use a cutting knife too if needed but do it slowly. Otherwise, you may leave the edges uneven. Cut a shallow groove on the sheath with the leather gouge. Use the rowel tool to stamp the stitches in the groove. Mark at least 6 holes in every inch and punch the holes with the fid. Keep the sheath on a solid surface and use a rubber mallet to pummel the fid. You can stitch up the casing before attaching the belt loop but the easier option would be to sew the loop first. Fold the flap over to the front and trim (if required). The end of the flap should be just below the top part of the casing. Punch holes with the fid into the end part of the loop and the top of the sheath (where you intend to attach the loop). Stitch by using needle and sinew. 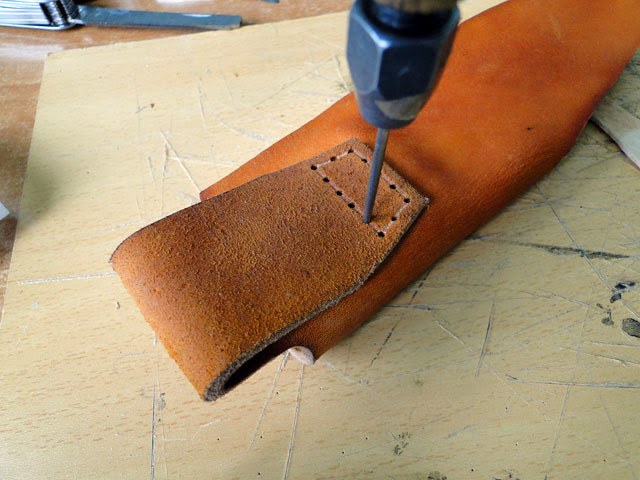 The next stage of this how to make a knife sheath lesson is to stitch the casing. Apply a single needle technique for sewing from the bottom to the upper part. A double needle technique is also fine but not necessary since it is a small casing. Once you reach the sheath’s tip, turn around and do another layer of stitching so that the thread does not unravel in any case. Tie the knot. Use a solid item such as the head of a rubber mallet or the wooden part of the fid, rub onto the seam so that the stitches sit flush onto the grooves. The casing will appear to be a bit snug at first. However, it will loosen up a bit over time. If you use high-quality leather, it will last for years to come. 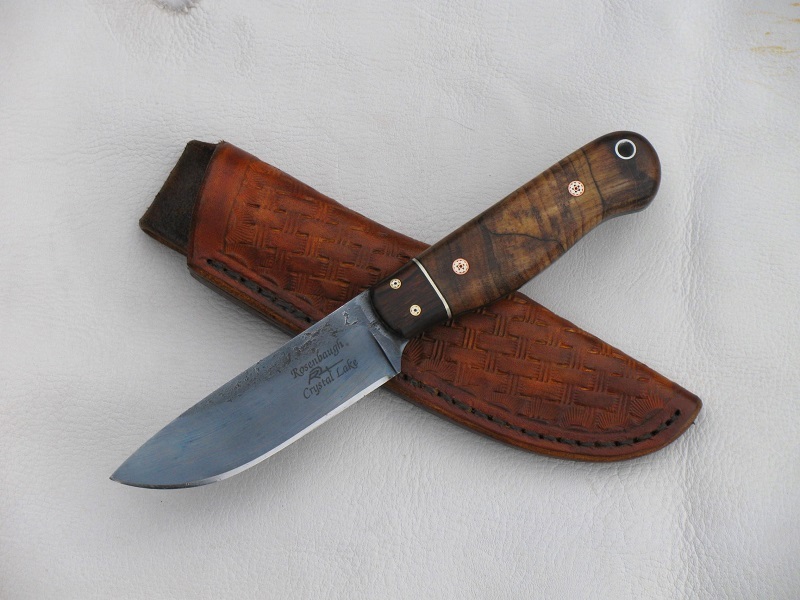 If you’re an outdoor lover who love living in the wilderness, it’s interesting to know how to make a knife sheath by your own and bring it along with you every survival or camping trip! 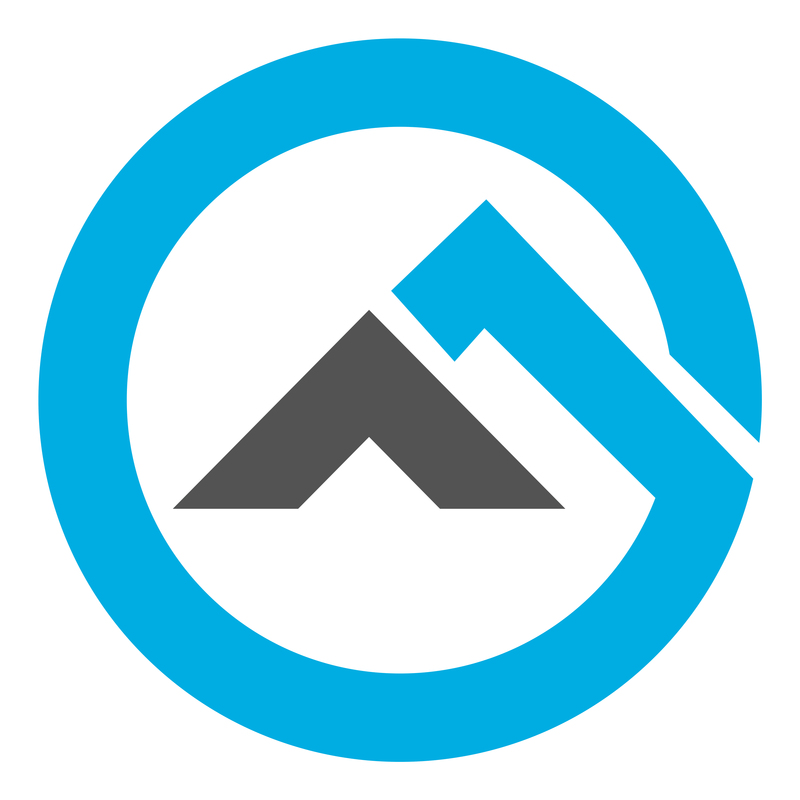 Dennis Taylor is a graduate of National Camping School and REI Outdoor School. He knows everything about what gear to take with you, how to plan your trip to stay safe and what to do if you get lost in the mountains. We are lucky to have Dennis with us as he is a ‘walking encyclopedia’ when it comes to the wilderness. Buck 110 vs 112: Which One Is The Superior Folding Knife?